This interactive presentation contains the latest gas (and a little oil) production data from all 9,764 horizontal wells in Pennsylvania and Ohio since 2010, through September. This data includes the production numbers just released by Ohio for Q3 2017. Gas production from these unconventional wells reached a new high in September, just below 20 Bcf/d. Initial productivity increased a lot over the past year. That explains why the 787 wells that started production in first 9 months of 2017 are in September at an average production rate of about 50% higher compared with the 733 wells that started in the same period last year. If you look at the “Well quality” tab, you can see that peak rates have consistently grown over the past 7 years, and are now about 3-fold compared with wells starting in 2010. However, the declines of the 2016/2017 vintages following this peak rate are also sharper, and they appear to be closing in on the production profiles of the 2014/2015 wells. The status of all these wells can be seen in the “Well status” tab. The ‘drilled, but uncompleted’ well inventory is up by about 10% since a year ago, as is visible in the top chart. This “Ultimate Return” overview shows the relationship between gas production rates, and cumulative gas production, averaged for all horizontal wells that started production in a certain year. For more recent, and granular data, you can switch the “Show wells by” selection to quarter or month. In the 2nd tab (“Cumulative production ranking”) the cumulative production of all this wells is shown. Twelve wells in this region have now each produced more than 15 Bcf of natural gas cumulatively. The 4th tab (“Productivity ranking”) reveals that of the major operators with at least 100 wells, Cabot and Rice are well above the others as measured by average cumulative production in the first 2 years. 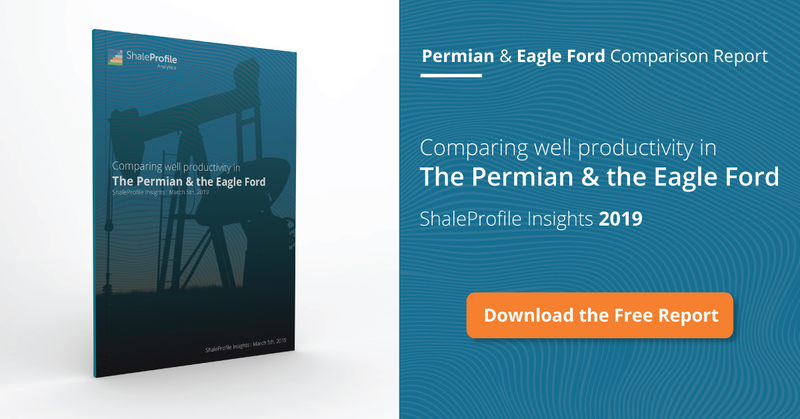 Coming Friday or Saturday I plan to have a new post on the Permian with data through October, followed by one on the Eagle Ford next week. I thank you again for all the time and effort you put into this site. As one who has tracked the “shale” developments since the early (2008) days of the Bakken, and became a serious student of the Appalachian Basin several years back, I highly recommend downloading and studying the report on NGLs just released by the DOE. The 45 page pdf – titled “Natural Gas Liquids Primer” – intros what NGLs are and why they are important. It goes on to describe the present and future status of Appalachian resources and infrastructure. This piece is informative and can be used ongoing as reference material. Picture the steel industry with tangible, manufacturing material. Now picture the coal industry, the main fuel for decades to generate electricity. Combine these two as methane now produces – via CCGT plants – the cheapest electricity anywhere (PJM wholesale electricity price is normally low $20s/Mwh. Compare with other regions around the world). The feedstock emanating from NGLs will also be the cheapest in the world. Thank you for the kind words, and the suggested reading material. I have downloaded it, and will read it in the coming days. Merry Christmas to you, and all supporters of ShaleProfile! happy new year, Enno and Everyone here for or against shale! First, to answer Enno’s question if one could find similar database about shale gas wells in China — there is no such database open to the public, and the numbers of producing wells are still less than 500s. But they are growing fast, and this year (2018) it will be over 700 wells and will account for more than 10% of China’s natural gas production. There are quite some news reports one could collect through search and also from scientific and engineering journals. The numbers of the highly productive Fuling wells seem to indicate it is close to the average of top 30~50% Marcellus wells. Experts in oil and gas industries are continuing being shocked at the numbers, as the average EUR is already more than 2 ~3 times their original estimates. Thanks Nuassembly, a happy new year to you too! Also appreciate the info on China. A pity to hear about the production data in China (although it is what I would expect). Hi Enno. I found my solution. I was looking at Marcellus + Utica last time. I’m OK. Thanks.